TWO former UK musicians are hoping for a big hit on their hands – selling olive oil! Gordon Simpson and Andy Barker from the North East of England, have regrouped to form the business – Isabelina Trading Company – importing premium olive oil from Spain. The new company imports an exclusive range of health-boosting ultra-filtrated extra virgin olive oils from Spain and is developing a range of specialist flavoured oils ranging from butter and truffle to chocolate. Commercial photographer Gordon and PR director Andy performed together in the 1980s in local band Eat the Peach and went on to play in a successful U2 tribute band. Gordon later moved to Malaga in Spain where he met his wife Nuria who has family contacts in the olive oil sector. The couple decided to launch their own high-end brand of olive oil in the UK and turned to old friend Andy Barker, who by day co-runs Results Network PR with wife Andrea Thurlbeck in Sunderland. 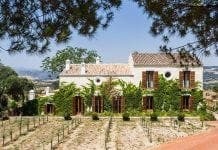 From his home in Malaga, Gordon said: “We have been given an exclusive opportunity to sell a truly unique oil in the UK. Our oils are the first in the country to have undergone a unique ultra-filtration process which ensures all the flavour and health benefits are kept in while the sediments are removed. 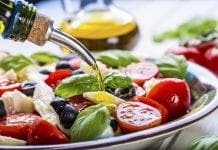 As well as preserving the health benefits of the premium extra virgin olive oil, the ultra-filtration process also naturally prolongs the shelf life of the product. Andy added: “When I visited the production plant in Spain, I was blown away by the technology used to create this ‘champagne’ of oils. 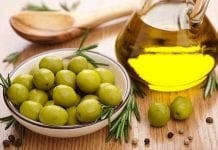 It is a true mix of thousands of years of olive growing tradition in the Jaen province with the very latest in food technology. All the olives in Isabelina products come from local co-operatives and we can trace every batch down to the exact grove it was grown and harvested. Andy continues to operate Sunderland-based Results Network PR and Marketing with his wife and business partner Andrea Thurlbeck. Shoppers can buy the gourmet products online at www.isabelina.co.uk.